There are many clichés about the passing of time, most of them referring to the fact that we simply don’t have a lot of it. As such, human beings have devised numerous ways to shave off a few seconds here and there, from Disneyland’s FastPass to TSA Pre-Check. When it comes to beauty treatments, we want the same time-saving wonders — and we want them to be effective, relaxing, and affordable, too. Skin Laundry’s Laser & Light Facial ticks all the boxes. Unlike many laser treatments that are expensive, time-consuming, and, frankly, painful, Skin Laundry’s signature offering is the opposite. 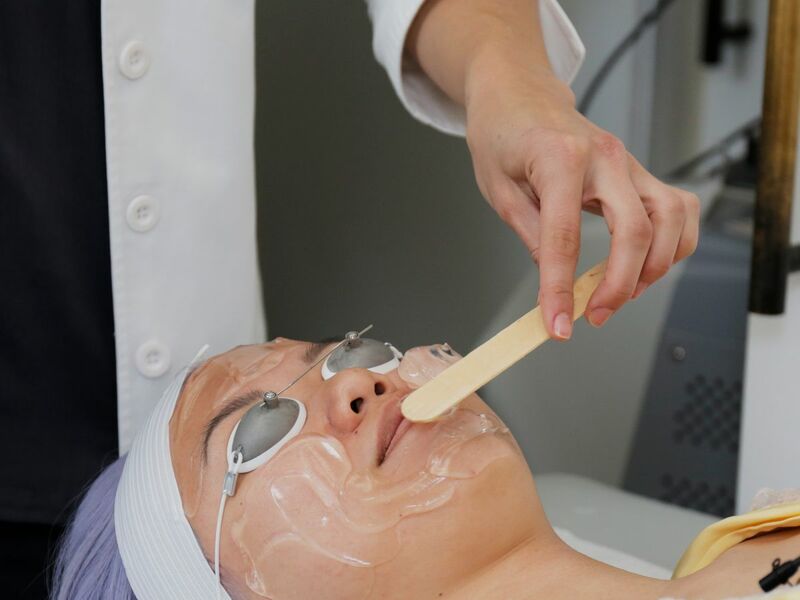 The spa, which has multiple locations in the U.S., the U.K., and Hong Kong, uses a combination of YAG laser and intense pulsed light (IPL) to help clear breakouts, even tone, and brighten skin. Unlike traditional lasers and light treatments done at your dermatologist’s office, Skin Laundry nurses and aestheticians use their machines at lower frequencies to vaporize pollution and dead skin, and kill acne-causing bacteria with zero recovery time. As a result, you should see clearer skin, reduced inflammation and redness, and a smoother complexion after just a few rounds. I decided to try the treatment out for myself last month, and while the treatment won’t be your cure-all for acne (those with cystic acne may not see much of an improvement), I will say my skin feels — and looks — much better for having tried it. Curious to see the results? Press play to watch it all in action.